This photo would have been taken at the Cromlet around 1939. 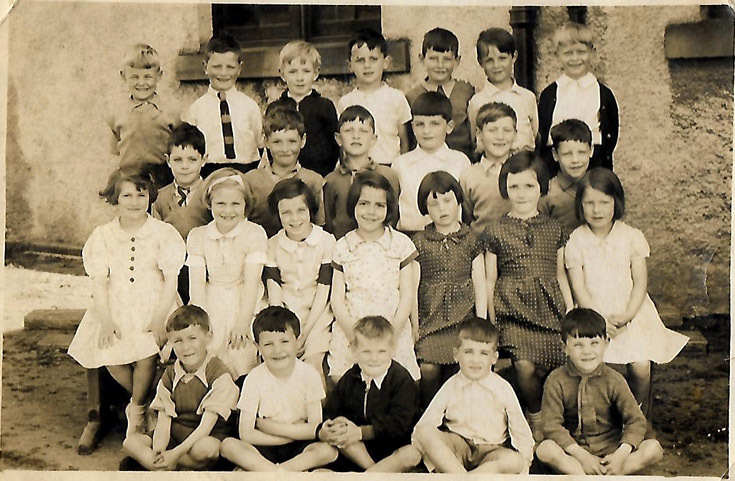 My father, Hamish Dunn is in the back row, 1st on the right. Hi Yvonne, Hamish was my 2nd cousin, an Invergordon local. I remember him and I sneaking into the tank farm under the fence, to poach some rabbits. Any idea who else is in the picture ? Hi Harry, unfortunately I don't know any of the others in this photo.